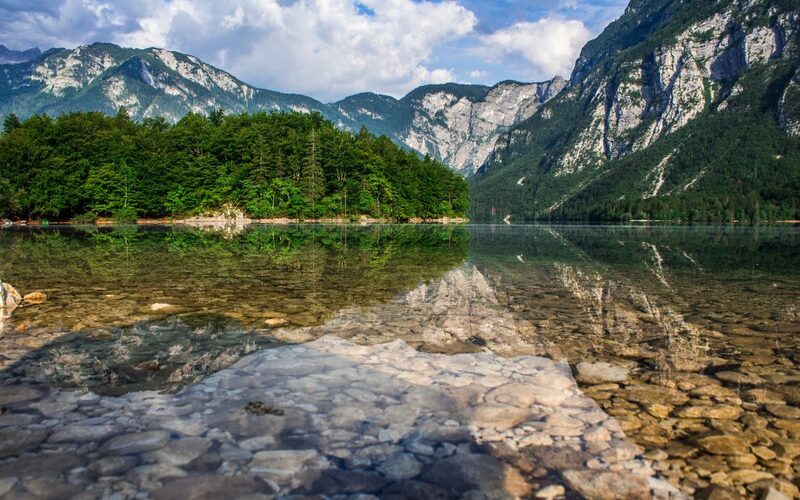 RP Founder Mike King, was delighted to be invited to attend and deliver a workshop at the European Outdoor Education (EOE) Conference 2018 which was hosted in Bohinj, Slovenia. The conference – ‘The Mediation of Experiences by Technology in the Outdoors’ provided great opportunity to share about the Learn Trek database that Huis and Releasing Potential School have developed to track the progress of our students no matter how small this progress might be. With every invitation or target set in life, one needs to go on a journey in order to get to the destination. My journey to get to the conference has involved a car, train, aeroplane, minibus shuttle, bus, walking and finally a cycle ride (conference centre too far away to be walking all the time). This eclectic mix of transport seems to mirror the range of mediums we need to navigate in order to reach the targets we set ourselves in life. Working with Huis Technologies and the RP School staff team on how we can recognise the changes which have occurred in our children’s lives has been a journey of joy, frustration, excitement, tears, pride, anger, happiness, etc. The highs and lows of this project have reflected the difficult nature of recognising how much our children achieve through alternative education. As I sat upon a Slovenian mountain this afternoon, I recognised that the journey had been worth it. National identity is important to us all, which is evident when you attend a European wide conference. The Slovenians display this by starting a lot of conversations using statements based on numbers. For instance, “59% of the country is covered by forest; there are over 500 bears in the country; there are 2 million people living in the country […] this makes an interesting comparison when we have Finland with 5 million in their population, Iceland with 350,000 and then the UK has (roughly) over 60 million”. Despite varying population types there are commonalities between the countries represented at this conference in terms of the struggle to provide truly inclusive education. One particular topic that was regularly discussed was the rise in the perception that people need to be safer. There are a lot of products on the market which will guarantee this: an increase in technology (particularly social media / online games) interrupting social interaction; the reduction of state funding for social projects for the vulnerable; and an increasing awareness that children with Special Educational Needs struggle to have a place in society. This prompted my thoughts to our processes at RP and how we cope with SEN in particular. There is a common thread of teachers, youth workers, etc trying their best to accommodate these children however there are very little resources for them to call upon to meet the need without moving straight to a restraint situation. When I described our course (The Management of Challenging Behaviour, see Here), how it is based on proven theories and practical application, the conference were suddenly interested in how it might apply to them. I now have to work out how we translate the course into Swedish, Slovenian, Finnish and Welsh so that we can help resource those enabling children to access society. Even though I shouted about RP the whole of the conference, people were still coming up to me to discuss how can they provide an alternative education programme in their country for the children who did not fit in with the structures which are set up by the government. I discussed with them three main things which they will need to do. Recognise in their culture what is the vehicle they will be able to create in order to reach the young people.We chose an Independent School model from the options available which came with a cost through the creation process for the team involved which was emotional (highs and lows), the risk of being honest, the acceptance that one could be wrong and sticking with the task regardless of distractions. 2. As educators it is our role to stand in the gap between society and those unable to engage with society because of their Special Needs. Releasing Potential has a calling to provide resources and encouragement to those prepared to provide access points for a child to interact positively with the society they work in. 3. Everyone has asked, ‘how much does this cost?’. My reply is that we have found a system which works within the cost structure of Local Government to make it work. We made sacrifices in the beginning, we used instructors instead of teachers and we have been disciplined in keeping within budget, which has enabled us to build a comprehensive ‘alternative education system’. These points are not ‘rocket science’ but they are underpinned by sacrifice, maintaining high standards of delivery, honesty within a team, organisational community, cohesion and fun. You have to see the fun and mischievousness of children to truly appreciate what they can achieve and understand that from low starting points it is possible to track progress through innovative delivery in the outdoors.